Coincidences are a funny thing. Sometimes they’re simply random occurrences of pure chance. On the other hand, the more coincidences you pile on top of each other, the less likely the two events are totally unconnected. That’s the situation facing us in the disturbing case of the fictitious “NIKKY SYNDER,” a fraudulent Facebook account created back in June of 2016 and used primarily for bashing ALEC PETERS and Axanar. The fake account was updated regularly with photos lifted from the Twitter updates of a woman who was NOT Nikky Synder. In fact, she was a young TV reporter who, at the time, worked for a local news affiliate in Peoria, IL. The 14-month ruse ended this past Tuesday when this young woman was made aware of the fraudulent account using her face and photos and reported it to Facebook. Before Tuesday, “NIKKY SYNDER” had posted regularly on the SMALL ACCESS Facebook group—having joined on February 7, 2017…a day before the group completed a week-long poll to determine whether ANTHONY SHUH should be expelled for belligerent and insulting behavior. Some suspected that “Nikky” might have been an alias that Anthony Shuh used to stay in the Small Access group. I shared a couple of those coincidences (but not all of them) in my previous blog post. But then Anthony Shuh posted the following comment onto the Fan Film Factor Facebook page, and now I need to spend yet another blog post talking about something other than fan films (don’t worry, things return to normal on Friday with a great audio interview with Vance Major!). 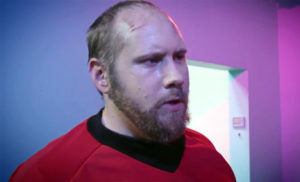 Prolific AXANAR DETRACTOR revealed to be a FAKE IDENTITY! Who is NIKKY SYNDER and why was she so antagonistic toward ALEC PETERS and AXANAR? The world may never know because, it seems, Nikky Synder never actually existed! 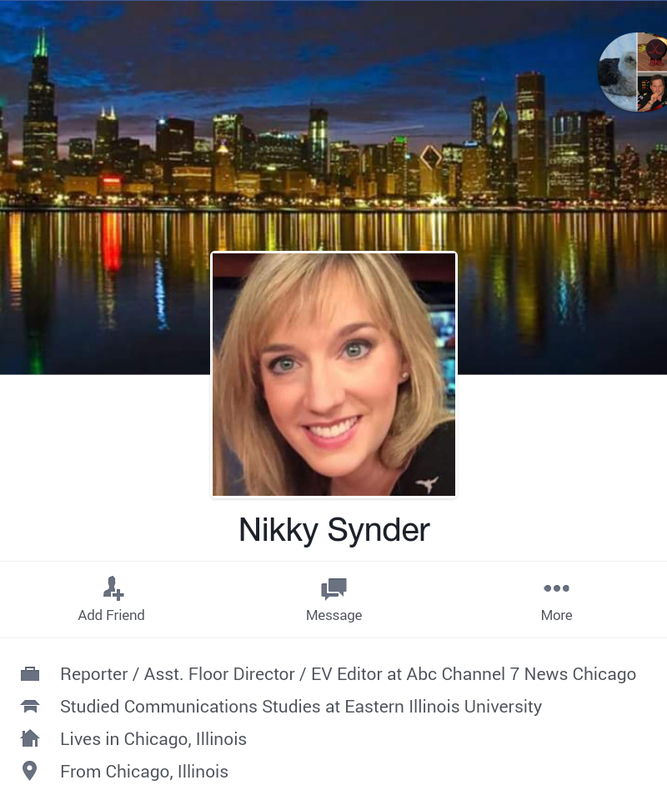 You can see Nikky Synder’s Facebook profile on the left, and she looks normal enough—a reporter, assistant floor director, and EV editor at ABC Channel 7 News in Chicago. Young, attractive, and apparently a big fan of Star Trek and fan films…and a prolific detractor of Axanar and Alec Peters. Over the past six months, Nikky was very active on the SMALL ACCESS Facebook group, quick to jump into any conversation dealing with Axanar or Alec until such threads were stopped or shut down. 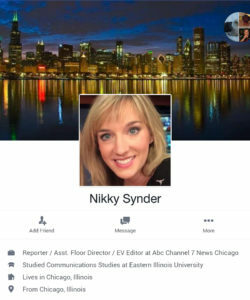 But yesterday, it was discovered that Nikky Synder was, in fact, an impostor—a “dualler” as they are called—a fake Facebook account using the photo(s) of someone else. A careless mistake made by the impostor was noticed, and within a few hours, the person whose image had been illegally stolen was tracked down and contacted. Minutes later, she reported the fraudulent account to Facebook, and it was deactivated soon after. For anyone who thinks this was a “minor prank” and barely worthy of a blog, feel free to stop reading. For me, however, it’s perverted and disgusting because it wasn’t just one photo of this woman being used but rather dozens and dozens! In fact, the fake account has existed for over a year and has been updated almost weekly by the impostor with photos of this woman and her friends taken from her Twitter feed! The impostor even amassed a fair amount of Facebook friends for this fake account using this woman’s image to attract strangers. And then, perhaps worst of all, the impostor spewed out angry and vitriolic rants via Facebook posts about a Star Trek fan film and its producer…and who knows if this woman even ever watched Star Trek??? Author Jonathan LanePosted on August 15, 2017 August 15, 2017 Categories NewsTags Small Access93 Comments on Prolific AXANAR DETRACTOR revealed to be a FAKE IDENTITY! 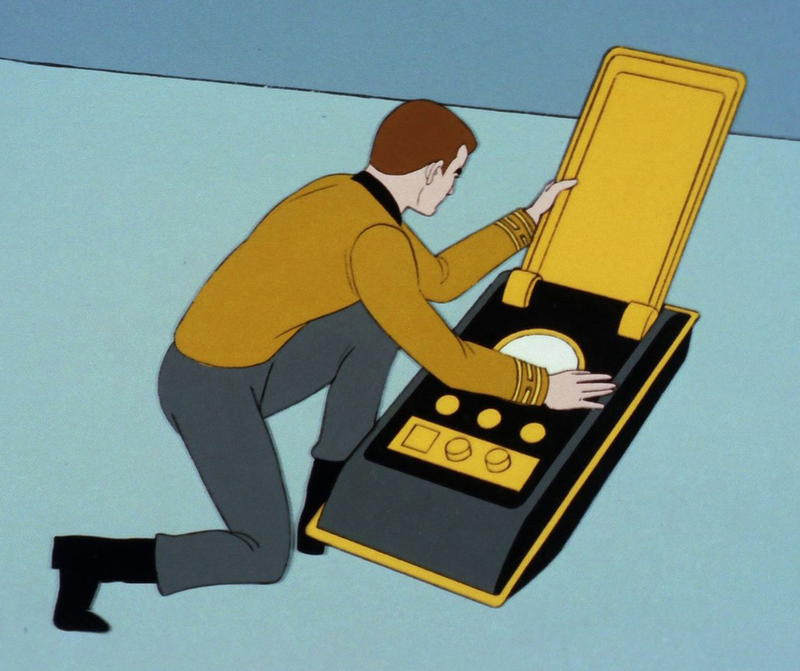 I really hate when things go nuclear. It happens all too often these days…especially online. Neither party wants to give an inch, each believing he or she is in the right and the other is a total git and knee-biting jerk. 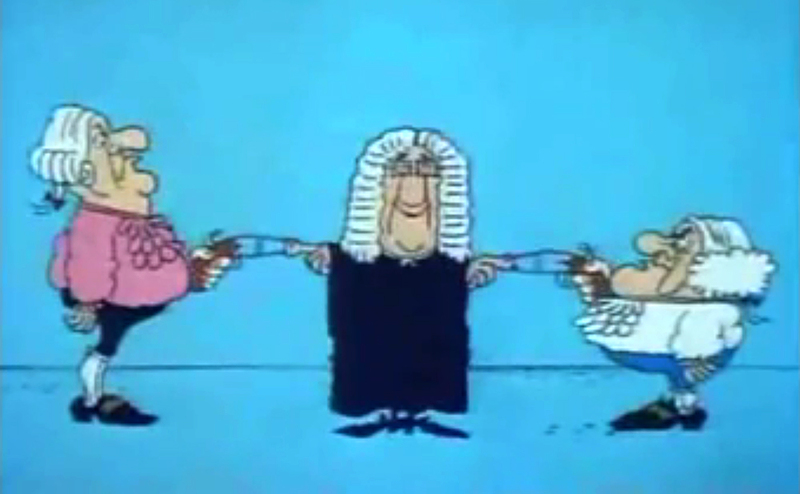 People start taking sides, arguments get heated, “evidence” is collected, and folks generally begin gettin’ real pissy. 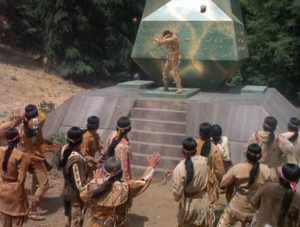 JAMES HAMS and I went toe-to-toe, mano-a-mano for much of the day over what amounted to three words in a recent blog he wrote. 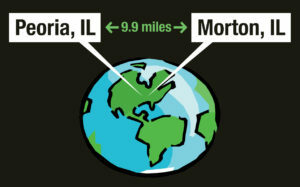 Granted, they weren’t just any three words, but the point is that the world wasn’t ending. And yet, you’d never know from all the urgent text messages and e-mails I had to read and write throughout the day. I’m sure James had a similar experience on his end. In short, James will be removing those three words from his blog (along with half a sentence that will no longer make sense with the three words gone). I’ll be telling the folks on SMALL ACCESS (and here on FAN FILM FACTOR) to stand down, secure from general quarters, cancel battlestations…whatever you want to call it. We’ve both agreed not to mention the other—or their blog(s) or Facebook group(s)—on our own blogs in any negative way on a go-forward basis. We’re both in agreement on this, and there’s no hard feelings. There were definitely hard feelings yesterday, but it’s nice to know that things can, with a little give and take, be worked out without going to DefCon 1. I’d like to thank James for being part of the solution…and also Vance for making that solution possible in the first place. I much prefer writing a short blog entry like this one over writing a long entry like yesterday’s! Setting the record straight on SMALL ACCESS! Man, I so hate dealing with misinformation! Really, it’s one of my biggest pet peeves. And that leaves me facing a choice: let the misinformation remain uncorrected (potentially confusing people and spreading the false claim even further) or try to correct it myself, potentially coming off as petty and vindictive. It’s really a no-win scenario for me…which is why I hate having to decide what do do when confronted with blatant misinformation. In this case, I’m choosing to shine a light on the situation and try to correct it. And I apologize in advance if I seem petty or vindictive, as that’s not my intention. 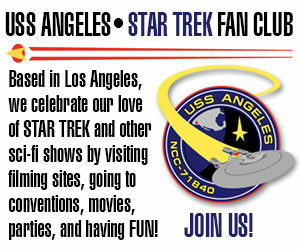 And hey, feel free to skip this blog entry if you prefer to come here just for the fan film stuff. I’ll get back to that after this blog. Author Jonathan LanePosted on June 7, 2017 June 7, 2017 Categories Editorials, NewsTags James Hams, Small Access, TrekFanProductions.com31 Comments on Setting the record straight on SMALL ACCESS! 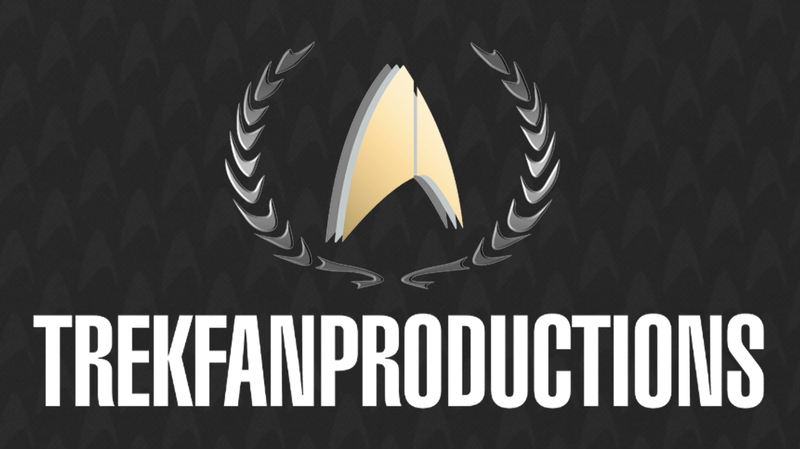 FAN FILM GUIDELINES – Have you voted yet? 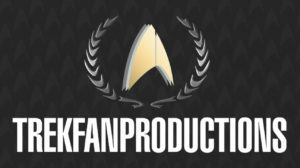 Last week, I invited folks to vote on just one of the fan film guidelines that they thought the SMALL ACCESS group should focus our energies on trying to convince the studios to revise. 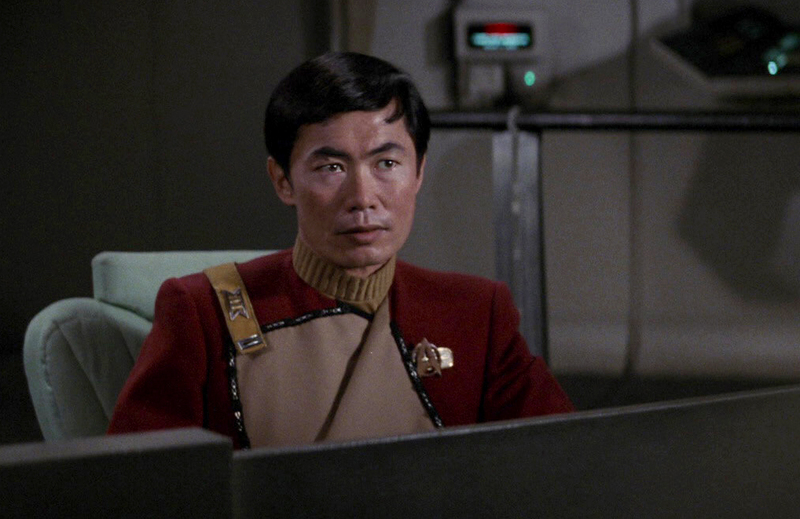 Initially, we set out to encourage multiple changes simultaneously from CBS and Paramount and pretty much got nowhere. And while we still have a veeeerrrrry steep mountain to climb, we might end up with a better chance of success asking for just one change rather than many. And so we set up a survey over on the Small Access Facebook Group, and so far, we’ve had just under a hundred votes. Two-thirds favor a focus on the second half of the first guideline: “…With no additional seasons, episodes, parts, sequels or remakes.” And with about a quarter of the vote, the notorious 15-minute limit is currently in second place. But there’s still time to vote because, to be honest, I haven’t had a chance to work on the next entry of my “FAN FILM GUIDELINES: Reality Check” blog series yet. And since I’m on vacation next week (heading up the California coast with the family and my camera), there might be a solid two weeks left to vote. And in the meantime, if you want to help me write the next entry in the blog series, how do YOU think we should proceed from here? We’ve got 1,300 in the Small Access group…92 of which are bothering to vote. We’re not exactly a “movement,” but we’re not entirely invisible either. A full-on boycott with just 1,300 people is pretty meaningless, though. And I doubt we’re going to convince every fan filmmaker out there to simply ignore the guidelines and risk getting sued. So what else is there? I have a few ideas, but I’m curious first to see what other people think. Feel free to comment on this page or, if you’re a member of SMALL ACCESS (and if you aren’t–why not???) on that Facebook group page. Author Jonathan LanePosted on March 28, 2017 March 28, 2017 Categories Editorials, NewsTags CBS, Fan Film Guidelines, Paramount, Small Access19 Comments on FAN FILM GUIDELINES – Have you voted yet?